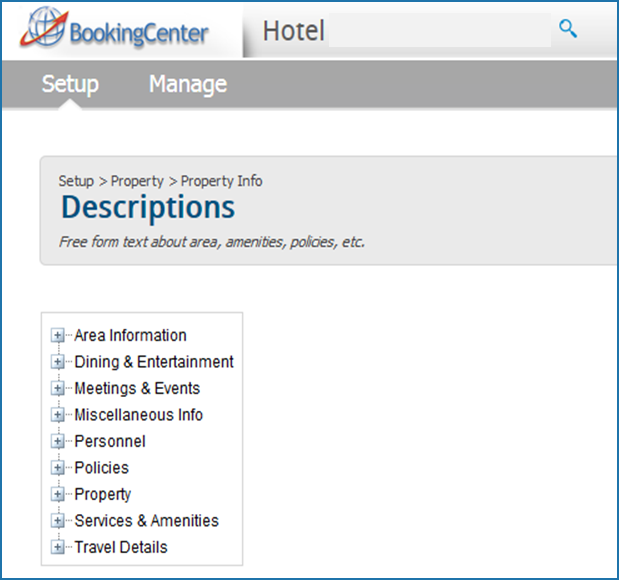 We are excited to announce a new tool available to BookingCenter customers with a GDS Connection, the GDS Profile Portal. The GDS Profile Portal allows you to log in to your GDS account to manage property descriptions, amenities, room features, images, policies, stay restrictions and more. To learn more on how to get started and see a tour of the features and functions, watch Managing Your GDS Profile Portal.